at Hobby, the forty-nine year old screenwriter, is back. Richard Foreman brings F. Scott Fitzgerald’s comic creation back to life – his cynicism, alcoholism and bad luck – in two wonderfully funny and melancholy short stories. Foreman, the acclaimed author of the Raffles series of books, injects his trademark dry wit and surprise twists into each story, whilst honouring the spirit of Fitzgerald’s original sketches. Pat Hobby’s Last Shot includes the following stories. 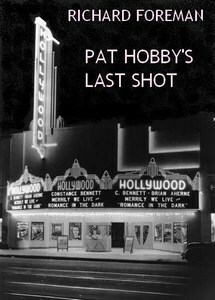 Pat Hobby’s Last Shot. Taken from the collection, The Return of Pat Hobby. Whisky Galore. taken from the collection, The Great Pat Hobby. Pat has been given the opportunity to play an extra in a new film. What’s more he has been asked to play a drunk. But will art imitate life too much?